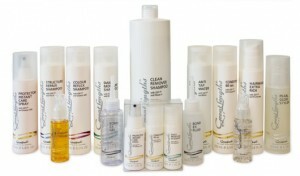 We have listed the full range of Great Lengths After Care products below. We stock the full range. This shampoo for your daily hair care routine is suitable for all hair types and is especially good for slightly dry ends and dry to slightly oily scalps. GSP-T® additionally protects against free radicals. AQUARICH® supplies valuable regenerative substances, giving your hair volume and shine – preventing static. Aloe Vera restores moisture and gives your hair silkiness and manageability. The pH value 5.5 is especially scalp-friendly and gentle. Colour Reflex is a special shampoo for colour-treated hair. The cleansers are mild and add moisture. Amino acids make the hair silky, reducing tangles and static. GSP-T® protects against free radicals whilst the pH value 5.5 is ideal for the scalp. Most importantly,SOLAMER GR8 prevents the destruction and bleaching of colours. This product gives you long lasting radiance and exceptional shine again and again. This shampoo was specifically developed for dry, brittle, stressed and unmanageable hair. The active substances clean your hair and scalp in an especially gentle way. GSP-T® protects against free radicals. PRO-KERATIN repairs porous zones and gives your hair new elasticity and volume. Pro-Vitamin B5 ensures a healthy moisture balance in your hair and scalp. The pH value 5.5 is gentle to your scalp. The ideal conditioner for dry, stressed and damaged hair. In only 60 seconds, your hair is repaired and stays treated for 60 hours! AQUARICH® supplies the valuable regenerative substances for more shine and volume and counteracts static. Aloe Vera restores moisture and gives your hair a silky feel. Jojoba oil supplies your hair and scalp with in-depth moisture and protects against dehydration. Suitable for all hair types, this spray reduces tangles, immediately making your hair manageable. Ideal as a quick fix, especially for coloured hair, as the conditioner stays in your hair. Helps to reinforce curls and waves. Protects against free radicals with GSP-T®. SOLAMER GR8 prevents the destruction and bleaching of colours from light and direct sunlight. The Pearl Gloss Styler is ideal for all hair types and effective creative styling techniques: modelling, separating, and accentuating each strand. Even hours after application, the hair stays wonderfully manageable. Vitamin B5 and Sorbitol strengthen and protect your hair and prevent moisture loss. Its light-reflecting crystals give your hair additional shine and shimmer. Super Shine Spray is for refining the finished style; taming frizz and smoothing locks to create texture with unbeatable style. Soft Finish Spray is exactly what you need to give your styling that natural and vibrant look. The secret lies in its perfect mixture of high quality polymers, which give your hair volume and strength. They also support the silkiness and elasticity of the hair and make it easy to manage. Soft Finish Spray holds your styling extremely well whilst producing a long-lasting natural look with silky shine. This mask is a rich intensive conditioner for very dry, brittle, stressed and unmanageable hair. The main active ingredient is PRO-KERATIN, which will rebuild the structure of your hair. GSP-T® gives additional protection against free radicals. Pro-Vitamin B5 ensures a healthy moisture balance in your hair and scalp. Anti Tap Water is the ultimate finish for all hair treatments – especially after removing extensions. Adds moisture by eliminating the damaging effects of alkalinity. Anti Tap also contains BIOTIN to promote the natural balance of the scalp and hair. GSP-T® protects against environmental conditions. Suitable for all hair types, the Serum Hair Fluid leaves your hair feeling great and will excite you with its magical shine effect. Tiger nut oil provides natural protection against free radicals, leaving your locks soft, easy to manage and shimmering. From the nut of the Moroccan Argan Tree, it creates unbeatable shine. For centuries, argan oil was regarded an insider tip for the cosmetic industry. We have rediscovered it for professional hair care. An innovative complex derived from black oats. Its high content of sulphur-containing amino acids strengthens the hair whilst polysaccharides provide a protective layer that maintains hydration. AQUARICH® also prevents frizzing and reduces tangles. A form of vitamin derived from Vitamin B Complex that promotes the natural balance of the scalp. A mild yet effective cleanser to remove styling products and residue. A patented extract from Pinot Noir grape seeds, an effective anti-oxidant to protect the hair from environmental influences. Hair will maintain colour, hydration and radiance. A combination of amino acids and proteins identical to those of the hair. It supplies the hair with valuable regenerative substances, repairing porous zones and gives your hair new elasticity and volume. Protects hair colour from damage and fading, from light and direct sunlight.